Saila-Inkeri Puukko, M. A. (Educ. ), Project planner, School of Business and Culture, Lapland University of Applied Sciences. Heart of a story was organized 29.-30.8.2017. The event was aimed to tourism companies along the Northern Lights Route. On Monday 28th of August 2017 we started our 12-hour journey from Tornio-Haparanda to Northern Norway, Storslett. 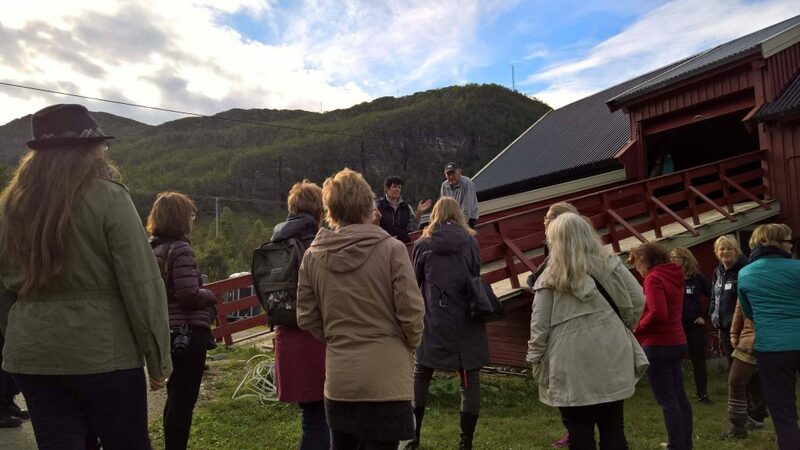 Tuesday, we started our Story-design event “Heart of a Story” at Halti-culturehouse with our tourism companies from Finland, Sweden and Norway. We had 21 companies selected on this 2-day event. Aim of the event was to inspire and present different storytelling tools to our participants, so to speak “Connecting the dots”. Presentation included also some facts about Our Stories project team achievements from the past year. 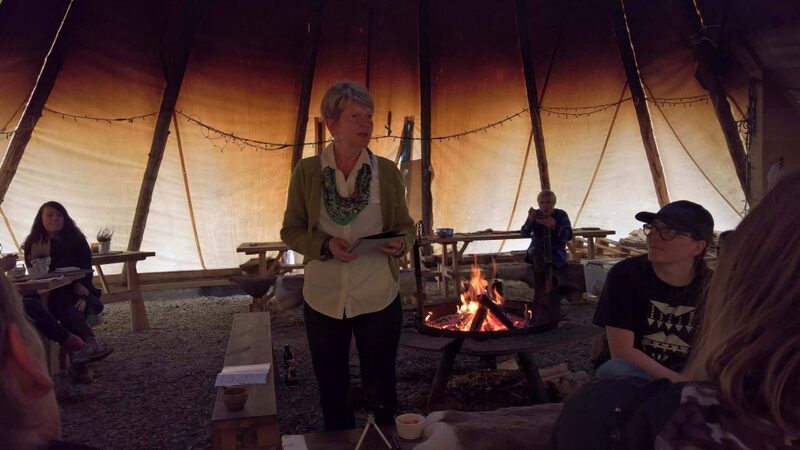 This event was organised in close cooperation with the UiT The Arctic University in Troms. Especially with support from UiT psychology and Arctic tourism departments. Main organizers of the event were our Norwegian partner Ihana and we, Lapland UAS. 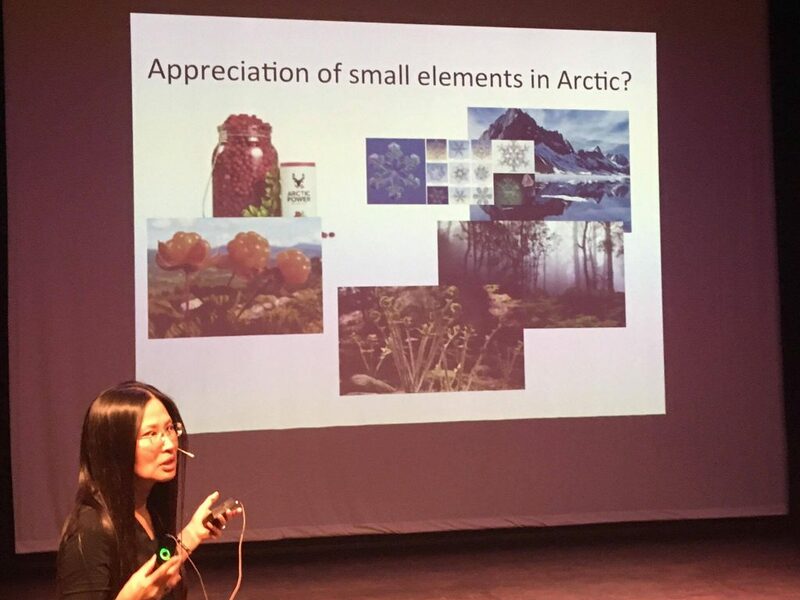 Young-Sook Lee (UiT) is a Professor & Director at the Centre for Sustainable Arctic Tourism (CSAT). Young-Sook was talking about the Asian perspective and how Confucianism shape tourist’s views. Confucius (551-479 BC) is an educational philosopher focusing on morality and ethics (https://en.wikipedia.org/wiki/Confucius). It’s important to recognize that Asian tourist’s behavior is underpinned by Confucian values. One interesting point was, that when we plan tourism services, it’s better to think small instead of big, because “small is beautiful”. Asian people consuming food also consumes stories. Confucian thinking also underline a strong leader. Normally the leader is an older male, but nobody knows how the leader is eventually selected. Picture 1. Young-Sook Lee and Confucian values. Björn Ylipää and his wife Lena are making stories alive by experiencing and visualising them. He has created a concept called Storytelling by food, meaning for example how does the Northern Lights taste? In the evening, we all participated in his food-workshop at Ovi Raishiin. 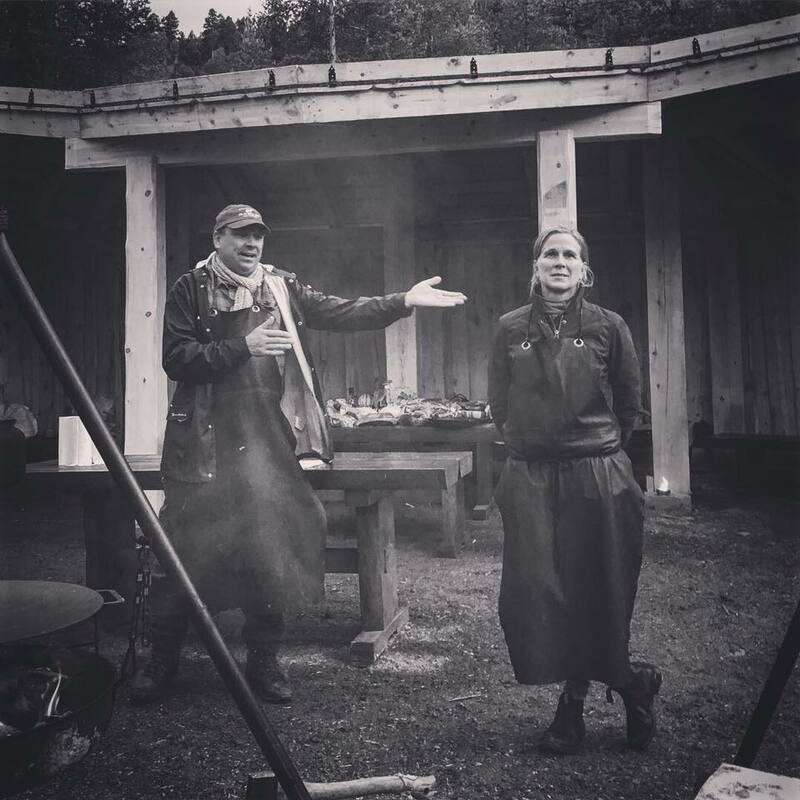 We prepared four courses whilst being guided by Björn and Lena. “Last taste of wilderness.. 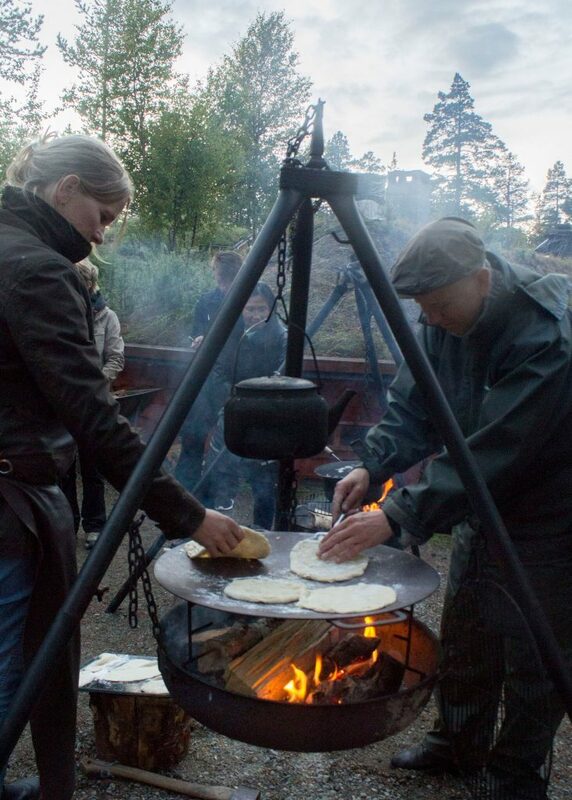 The story of Kaunisvaara – coffee cheese, reindeer meat pitsa”. At Ovi Raishiin we had our workshop. The businesses were able to practice and try storytelling themselves, this included solving assignments which lead to stories about their own businesses. Real and authentic stories are built upon the emotions and values that our businesses are based on. The purpose of developing a story for each business was to show that each business matters and makes a difference. The next day we visited a local horse breeder, Lyngshestlandet. The entrepreneurs were telling us about the place and the owner told us his story and his relations to Nord-Troms and Northern Norway. At Kronebutikken we had the opportunity to taste the northernmost syrups and make our own art from fish skin guided by Reisa Skinnprodukter. At the end of this 2-day event, we concluded the workshop with Tove I. Dahl. She was telling her own story about the workshop and what we experienced along the way. Everyone were asked to think about the future and what they do in the next two hours, two days and two weeks. We started our journey back home on Wednesday afternoon. 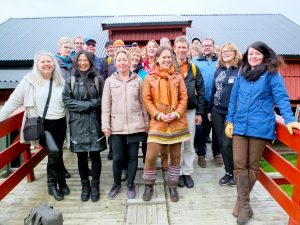 The rest of the group from Finland and Sweden were also visiting Äkäslompolo, where we met local storyteller and shaman Uuttu-Kalle. There we experienced so called Lapinkaste – Lappish pabtising.